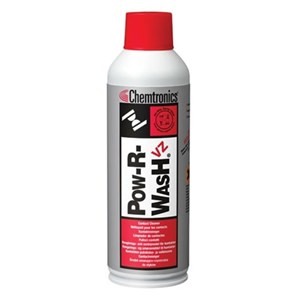 Pow-R-Wash™ VZ Contact Cleaner is a highly effective nonflammable solvent cleaner for electrical and electronic contacts and assemblies. The non-ozone depleting Verizane™ solvent system utilizes Vertrel® Specialty Fluid from Dupont® to quickly remove oils, oxides, and other contaminants from metal contacts. Verizane™ Contact Cleaner is specially engineered to restore and improve electrical continuity on energized equipment. Chemtronics’ most economical line of ozone safe cleaning solutions. Engineered to replace HCFC-141b, these low odor, no flash, nonflammable aerosols offer the most cleaning value for your money. So ditch the dirt — without blowing your budget!